The next update for the Master Chief Collection will not only bring some fixes and changes to the collection, but will also bring Halo 4’s Spartan Ops mode to the collection. Made an update to make sure a match only starts when teams are even. Players will now receive a ‘loss’ when disconnecting before a round has ended. Made an update to include all split screen players in vote tally. Resolved an issue where players could be dropped from matchmaking after disconnecting their controller. Made additional improvements to Halo: CE hit registration. Made an update to the “Halo 2: Anniversary Career Progress” page to ensure achievements are correctly tracked. Fixed an issue where it took a long time to join players that are in a Multiplayer lobby. Made additional improvements to Roster update times. Fixed Halo 3 game type text when viewing saved data in “My Files”. Fixed an issue where the ‘Black Eye Skull’ incorrectly prevented players from reaching checkpoints. Fixed an issue where cross-game playlists could fail to progress to the next level. Made several fixes to Campaign Playlist Carnage Reports. Fixed an issue where Halo 3 Cooperative Playlist progress would not save correctly when completing a mission. Made changes to ensure that Competitive Scoring and Timing are tracked correctly in Halo CE and Halo 2 Campaign Playlists. Made updates to improve stat tracking. Fixed an issue where the “Steaktacular” medal would not be correctly awarded in Halo 3. Fixed an issue where the “Supercombine” medal would be incorrectly awarded in the Halo 4 Campaign. Made an update to ensure that the “Flaming Ninja Anniversary” achievement unlocks when prerequisites are met. Updated the Halo 2 “Boxer” Button Layout. Updated the Halo 4 “Legacy” Thumbstick Layout. Made several updates to improve overall game stability. Spartan Ops is a cooperative mode that rolled out periodically after Halo 4’s launch. 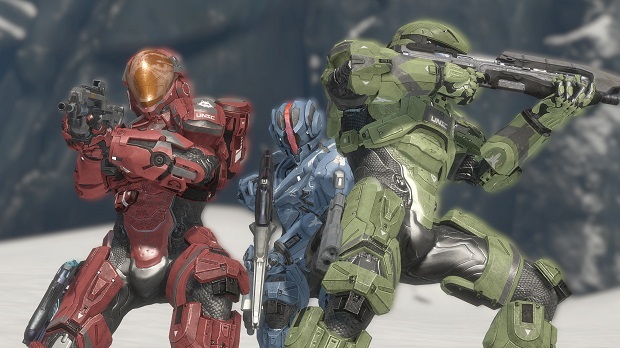 Recently 343 announced that it would be bring Halo 3: ODST to the collection as an apology for the compilation’s matchmaking issues since launch. For more on Halo, check out Gaming Trend’s review of the Master Chief Collection.